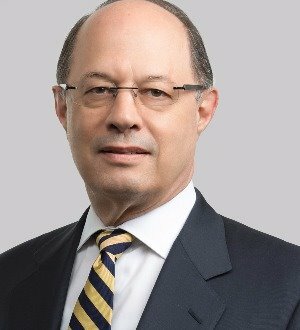 Charles Caulkins is a partner in the Fort Lauderdale office and a member of the firm's Management Committee. Since 1977, he has represented employers nationally in labor and employment law matters. He advises employers on the development and implementation of preventive labor relations programs, including management education and training, to avoid charges and lawsuits, protect trade secrets, and resolve disputes. Charles is a founding member and past President of the Academy of Florida Management Attorneys and was the 2006 Chairman of the Greater Fort Lauderdale Chamber of Commerce. He is "AV" Peer Review Rated by Martindale-Hubbell. Since 2007, Charles has been included in Florida Super Lawyers for his work in labor and employment law. He has also been listed in The Best Lawyers in America since 2006 and in Chambers USA, America's Leading Business Lawyers since 2003. He was recognized as an Employment Law – Management Lawyer of the Year by Best Lawyers in America for 2017. Charles has been named one of "The Nation's 100 Most Powerful Employment Attorneys" by Human Resources Executive Magazine every year since 2010. He was honored with the 2011 Chair's Award by the Florida Chamber of Commerce for his outstanding leadership as a member of the Chamber's Board of Directors. Charles was also included in the 2012 edition of South Florida's Top Rated Lawyers, presented by Legal Leaders. Charles was recognized in the 2014 edition of the South Florida Legal Guide as one of the “Top Lawyers” in South Florida. He was also honored by Neighbors 4 Neighbors for his volunteerism within the South Florida region.